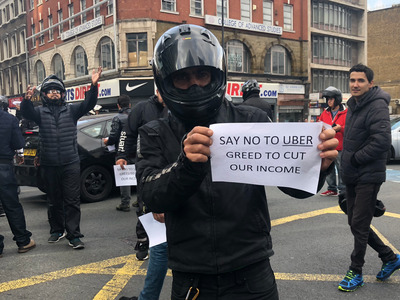 Shona Ghosh/Business InsiderUber Eats drivers protesting a change in fee structure in September 2018. Around 1,000 Uber drivers in the UK are expected to go on strike in protest at their pay and employment conditions on Tuesday. Drivers across London, Birmingham, and Nottingham will take part in their first multi-city strike against the cab-hailing company. The strike has won political support from the Labour party’s senior leadership, who are supporting calls to boycott the app. Uber says its London drivers earn significantly higher than the national living wage, and that it is always open to talking about improving their earnings. Uber drivers will strike across three British cities from 1 p.m. on Tuesday afternoon to demand better treatment and an upgrade in employment status. Drivers across Birmingham, London, and Nottingham will take part in the first UK multi-city strike to hit the cab-hailing company. The action has been organised by a branch of the Independent Workers Union of Great Britain (IWGB), a small but outspoken independent union that advocates for gig economy workers. The action is led by James Farrar, a former Uber driver who won a legal battle against the firm in 2016 over drivers’ employment status. 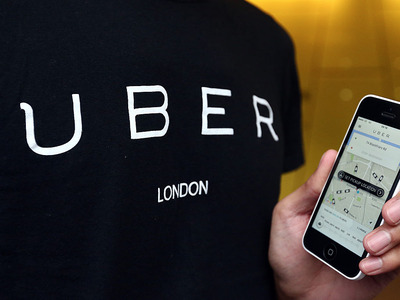 Farrar, now chair of the United Private Hire Drivers branch of IWGB, told Business Insider he expected around 1,000 drivers to participate in the strike by logging off the app or by turning up to protest outside Uber’s offices in each city. Uber has around 50,000 drivers in the UK. Carl Court/Getty ImagesDrivers want passengers to log off the Uber app for a day. The drivers want an increase in fares to £2 per mile, where it is currently £1.25 in London; a reduction in the commission charged by Uber from 25% to 10%; and fewer “unfair” deactivations. Deactivations involve an Uber driver being barred from the platform permanently or temporarily for poor service or bad conduct. According to Farrar, there have been more driver deactivations since Uber won its licence back to operate in London, partly because the company now has to meet strict driver standards. “It’s a real dragnet. Any complaint and you’re gone,” he said. Uber has argued that other minicab operators also employ drivers on a contractor basis, rather than as employees with benefits and a minimum wage. It has also said drivers value flexibility. The company is appealing the 2016 ruling which determines it must give its drivers’ worker rights. An Uber spokeswoman told Business Insider: “We are always looking to make improvements to ensure drivers have the best possible experience and can make the most of their time driving on the app. That £11 an hour figure cited by Uber is higher than the London living wage of £10.20 an hour. Shona Ghosh/Business InsiderUber Eats drivers gather outside Uber’s Aldgate headquarters in east London, in September 2018. The strike is a sign that Uber drivers are becoming more organised – and winning political support. Farrar said it had conventionally been tough to organise large-scale action because there’s no one place where Uber drivers meet. They log onto the app and pick up fares, then log off and go home. They don’t gather at an office or dedicated pickup ranks to speak with other drivers. But this is at least the third protest or strike to hit Uber in recent weeks. 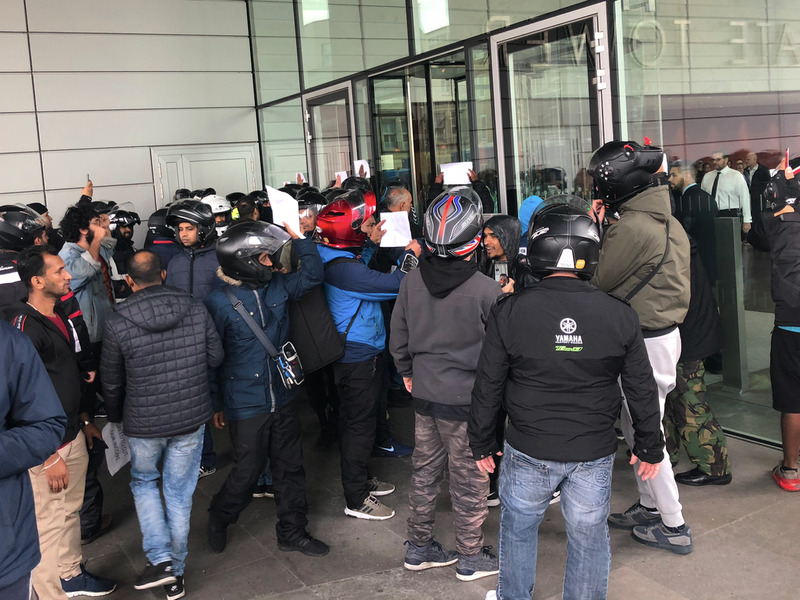 Hundreds of Uber Eats drivers, who work for Uber’s food delivery arm, stopped traffic in east London in September to protest outside the firm’s UK headquarters in Aldgate. They complained about a change in fee structure, which they said meant they would earn less for delivering food. A follow-up protest in October saw drivers occupy the lobby of Uber’s Aldgate headquarters. Both protests garnered national attention. This time, the coordinated strike has won political backing from senior figures in the Labour party, namely shadow chancellor John McDonnell and deputy leader Tom Watson. “I support this strike for better employment rights and urge others to respect the app picket line,” McDonnell wrote on Twitter. Farrar, however, is sceptical about the usefulness of political intervention. He criticised the Taylor Review, a government-backed review of the gig economy, and said London Mayor Sadiq Khan hadn’t done enough to support drivers.